We have started out the New Year with a great container of new items. This handcarved stone Quan Yin is 47″ tall. 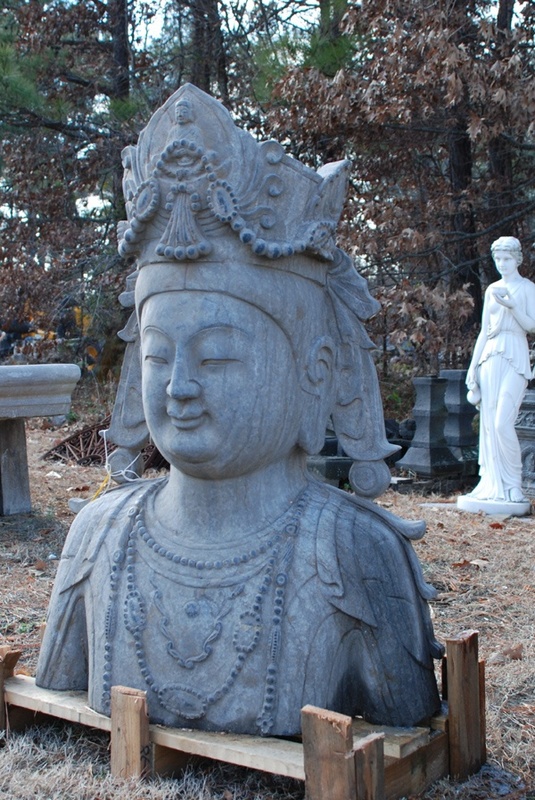 It is of the highest quality and would be great in a Chinese or Japanese garden. In Chinese history Quan Yin is a model of Chinese beauty. In sanskrit Quan Yin means “Born of the Lotus” and is regarded as the goddess of mercy and is loved rather than feared. You have to see her in person to see how large and impressive she is. We also have some great rustic furniture out of reclaimed elm. Wine racks, coffee tables, dining tables and benches. We are now closed on tuesday and wednesday until summer.